Rick Springfield - Songs for the End of the World - NEW ALBUM! Rick Springfield's official web site. 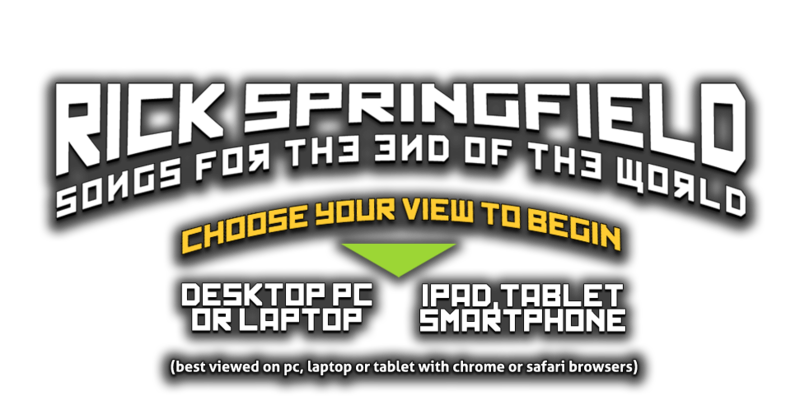 Welcome to the interactive online preview of 'Songs for the End of the World', the new studio album from music icon Rick Springfield.